Frozen Shoulder: Surgery, Physical Therapy, or Acupuncture? When it comes to frozen shoulder, the first treatment conventional Western Medicine offers is physical therapy. If the shoulder joint has become frozen due to the scar tissue formation after the injury, the only way that you will be able to restore the range-of-motion in the joint is to break up the scar tissue. Movement is the key in improving the range of the motion in the joint. Since the scar tissue has formed in the area due to improper healing, it is often times extremely painful to perform certain movements. The person with the frozen shoulder then avoids those motions, which promotes further the formation of scar tissue in the area. The duration of the session is longer in acupuncture and therefore, stimulates a larger area in the joints. It can stimulate the circulation and repair deeper in the joint as the stimulation is transmitted through the needles and acupressure. The electric stimulation through acupuncture needles delivers deeper vibration than the regular TENS or ultrasound in physical therapy. The kinetic activity session is tailored to each individual person and addresses the exact issue the patient is having difficulty with. A lot of physical therapy exercises are standardized and do not cater to every situation. With the help of pain-reducing effect of acupuncture, the patient has less pain while practicing the therapeutic exercises so that the patient does not avoid these exercises but tries to work harder. The heat used during the acupuncture, massage, and kinetic activity session improves the circulation, reduces the inflammation, and promotes the healing. Conventional physical therapy uses ice instead of heat even when the shoulder injury or the frozen shoulder has been developed for a long period of time (usually over one month to a year)! Acupuncture and Chinese Medicine therapies are against the use of ice once the injury or trauma area has been over the 48 hour acute period. Ice can temporarily numb the area but it is congealing in nature and doesn’t promote the long term healing. Healing needs good circulation to break down the old tissue and build the new muscle fiber. Ice slows down the circulation. How do you heal faster if you frequently apply ice to the injured area? A lot of my patients switch from ice to heat after I explained the mechanism of ice vs. heat. All of them agreed from their personal experience that they actually feel much better with heat than ice! Facial rejuvenation acupuncture uses the ancient art of Chinese Medicine to reduce the signs of aging without the risks associated with surgery. Facial rejuvenation acupuncture is a natural, non-invasive method of treating the superficial signs of aging as well as its internal causes. The Chinese have known for thousands of years that beauty comes from the inside, and that increased circulation helps the body to look and feel better. The use of facial acupuncture dates back over 800 years to the Sun dynasty when the empress and her concubines used it to maintain their youthful appearance. Acupuncture for facial rejuvenation balances bodily functions to address conditions that may result in fine lines and wrinkles while enhancing the flow of blood and energy to the face. By supporting a healthy mind and body, acupuncture can improve the overall appearance of your skin. The needles will also improve facial muscle tone by tightening the skin. The insertion of needles into superficial layers of skin has been shown to increase collagen production and improve elasticity. Facial acupuncture improves the complexion by increasing blood circulation, softens fine lines and wrinkles, lightens deep wrinkles, lifts eyelids, reduces under-eye puffiness and clears age spots, rosacea and acne. Treating the underlying cause of aging is preferable to masking superficial symptoms while allowing further decline to continue within the body. 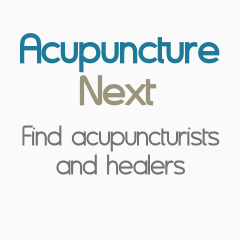 Using designated points on the skin, the acupuncturist inserts fine needles that promote the flow of the body’s energy, or Qi. By stimulating these points, increased blood flow improves the skin’s luster, swelling is reduced by drainage of toxic waste, and increased collagen production reveals more supple skin. Increasing the flow of energy, blood and lymph circulation improves the face’s natural color, increased collagen production improves muscle tone and elasticity, and stimulating the production of bodily fluids nourishes the skin. Since the body, mind and spirit are all connected, negative emotions can have an impact on skin health. Acupuncture can eliminate stress and reverse its harmful effects on the skin. Patients look and feel younger with improvements in skin tone, color and texture. As an added bonus, there is an overall rejuvenation that is not confined to the face! Facial rejuvenation acupuncture is an excellent alternative to cosmetic surgery and the costs are considerably less. Because of its effectiveness, it is now increasing in popularity throughout North America and Europe. Facial acupuncture can have significant results after the first treatment, but a full course of twelve sessions is recommended to obtain maximum benefits. Once the course is completed, occasional treatments and sustained healthy lifestyle choices may be required to maintain a youthful appearance. The International Journal of Clinical Acupuncture has reported that among 300 people who received facial acupuncture, 90% saw visible results after one treatment. The Five Elements theory is a universal framework that organizes all natural phenomena into five groups that represent patterns and relationships in nature. These groups – Fire, Earth, Metal, Water and Wood – can also be described as the fundamental materials that comprise the Universe. Each element has certain characteristics and qualities, which are used to classify all phenomena (from macro-systems to micro-systems) including the planets, constellations, seasons, climate, taste, color, sound, emotion and internal organs. According to this theory, Fire, Earth, Metal, Water and Wood are expressed within the human body in five organ systems: heart/small intestine, spleen/stomach, lung/large intestine, kidney/urinary bladder, and the liver/gallbladder, respectively. The Five Elements theory is based on the observation of natural cycles and interrelationships of all things in the universe, including both in our environment and in ourselves. The interactions and connections of the systems of the body can be explained by understanding the interactions and cyclical change of the elements. Two of these fundamental interactions are the balancing relationships of generation and control/subjugation. Generation describes the relationship of one element nurturing and producing the following element in the cycle, whereas control refers to one element constraining another element. Generation promotes growth and development, whereas control/subjugation prevents an element from growing too quickly or too strong. These two relationships foster the movement and change of the elements, while continually balancing them and maintaining their harmony. These relationships fall out of balance when an element becomes too strong and exerts an excessive amount of control over another element or when an element becomes too weak and cannot promote another element. Within Traditional Chinese Medicine, these relationships between the elements provide the framework for understanding the connections and interactions between the internal organs, and thereby understanding, diagnosing and treating all health issues. It is when the relationships between the organs fall out of balance that health issues arise. Practitioners thus seek to identify the imbalanced element/organ and to restore balance with their treatment plan. For example, the liver (represented by the wood element) is promoted by the kidney (represented by the water element). The liver relies on kidney water for nourishment, a relationship known as water moistening wood, in which the kidneys (water) generate the liver (wood). Failure of kidney water to fulfill this function is known as water failing to moisten wood. Most liver disorders affect the spleen (represented by the earth element), an occurrence known as wood acting on earth, in which the liver (wood) exerts too much control over the spleen (earth). In optimizing health, it is important to recognize the predisposition of an individual’s body and how the elements are balanced within that person. For example, in the season of wood (during the spring months of February, March, April and May), people with the body type of excess wood are advised to modify their diet and other things in their life to avoid too much wood element during this period of time. Otherwise, an imbalance could arise and health conditions related to wood such as high blood pressure, dizziness and headaches may manifest more during the season. Depending on the particular year and other factors, great care may be needed to prevent stroke and other major health issues or to mitigate these conditions. The Five Elements theory is a holistic approach to health, emphasizing the relationships between the human body and its natural environment. It is when the body is harmonized with natural cycles that one achieves optimal health. The strength of traditional Chinese Medicine theories is that we look at every case individually and identify the underlying cause of the conditions due to imbalances from either constitution or post-natal environment. Two people both have similar symptoms of acid reflux. One person is possibly due to the inherent cold condition in the digestive system while the other person is due to excess heat in the stomach. These two people are told to have different body types. Traditional Chinese medicine focuses on balancing Yin and Yang energies within the body. Its ultimate goal is to reach optimal balance. Optimal balance leads to good overall health, whether it is physical, mental, emotional or spiritual. Once body has to reach the peak of its ultimate balance, it is considered healthy and this prevents illness and disease. According to traditional Chinese medicine, each individual is born with a certain body type and each organ is either Yin or Yang dominated. Our body type determines how we live and behave and how we deal with diseases and bacteria. As human beings, we try to balance Yin and Yang energies through our dietary guidelines. This means that our body works to balance the energies through the foods we prefer. The downside here is that sometimes, the energies in our bodies are so uneven and off balance that the diets we think are beneficial to us are actually hurting our health, which is why we have to be aware of our body type and the foods we need to harmonize our organs. It’s important to know that, sometimes, people have a mixed physical constitution. For example, someone can be cold and dry or damp and hot. Because of this, diets have to be individualized depending on someone’s exact body type.